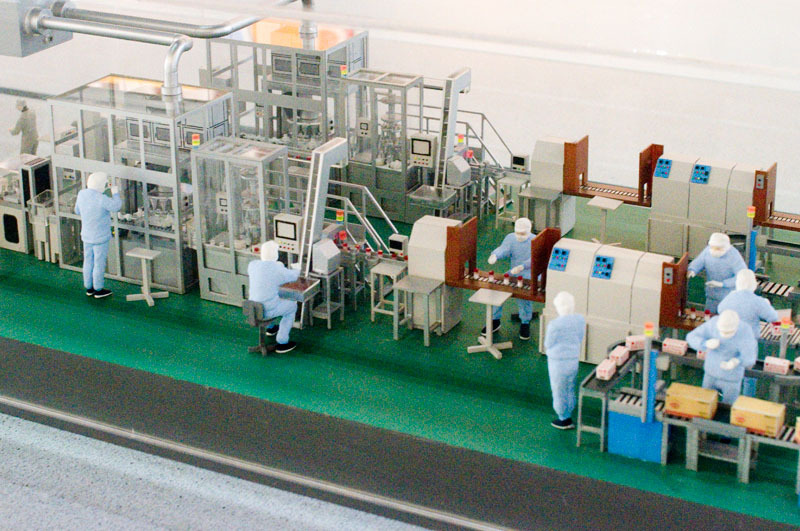 Showing off a factory assembly line for the production of Ajinomoto MSG, this industrial diorama incorporates an impressive level of detail in the conveyor belts, pipes and other factory equipment. 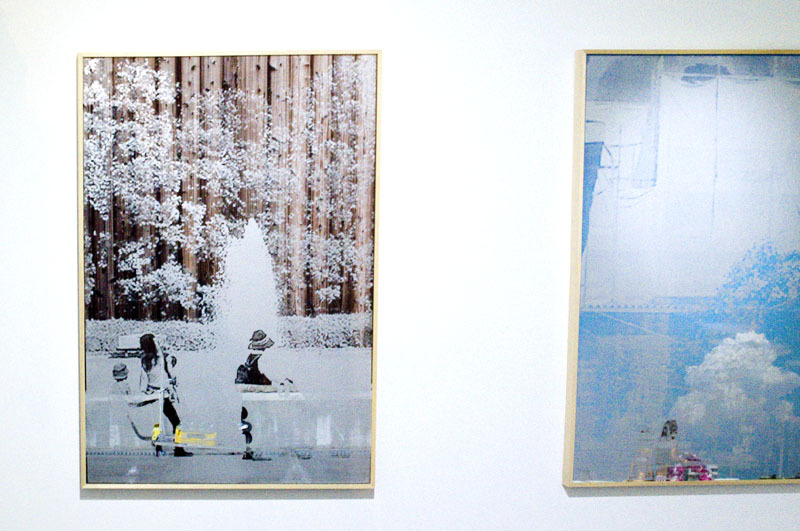 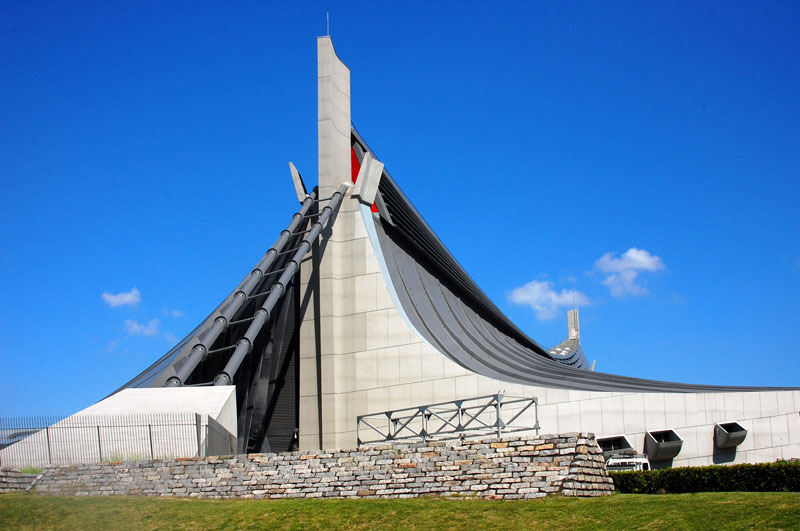 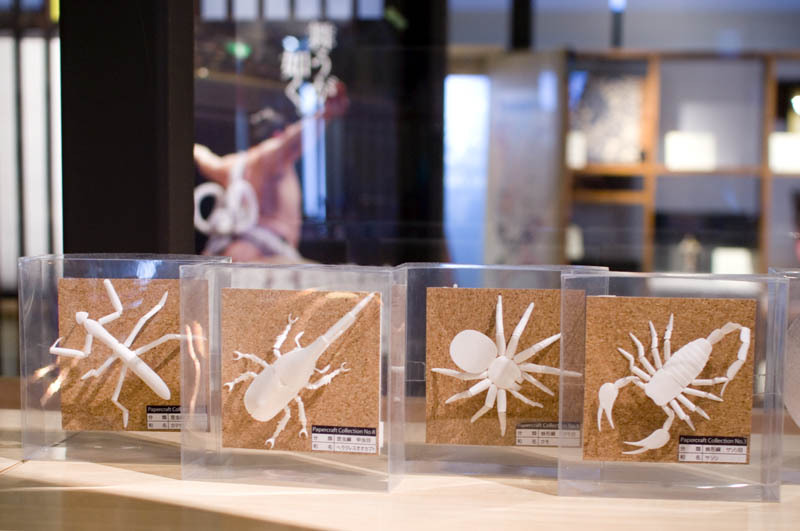 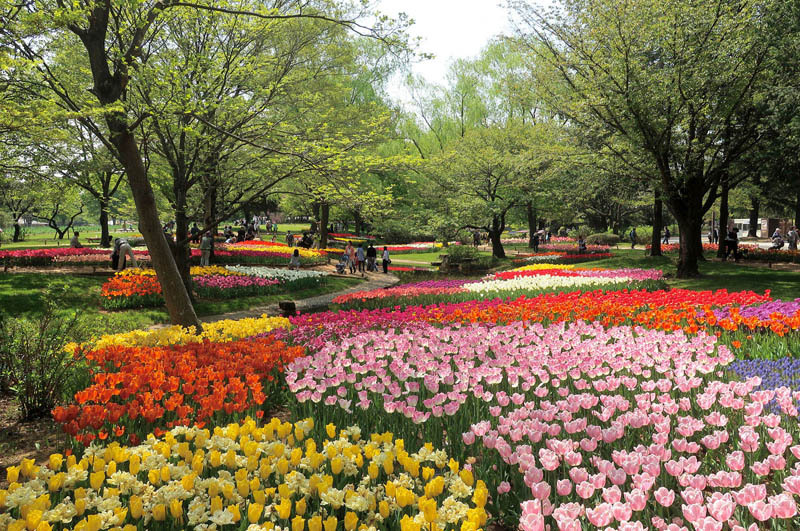 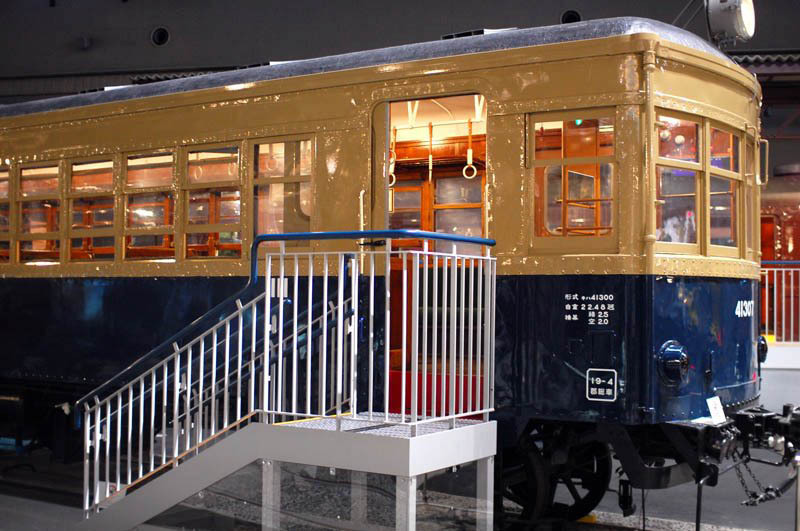 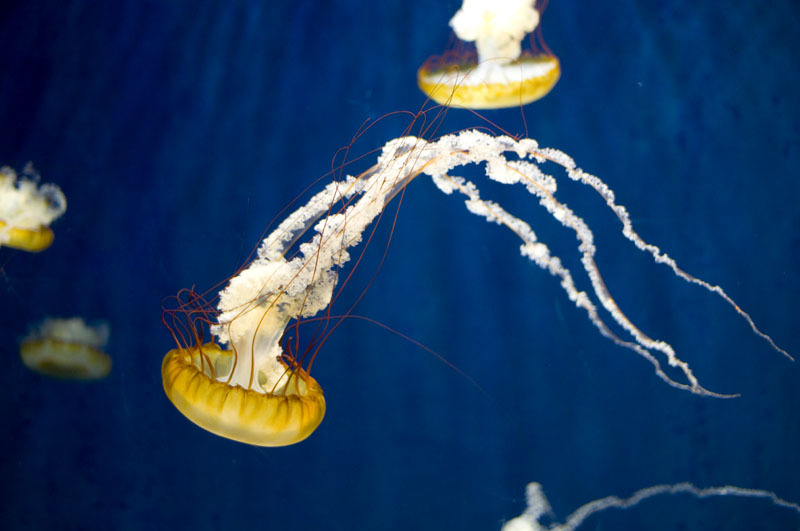 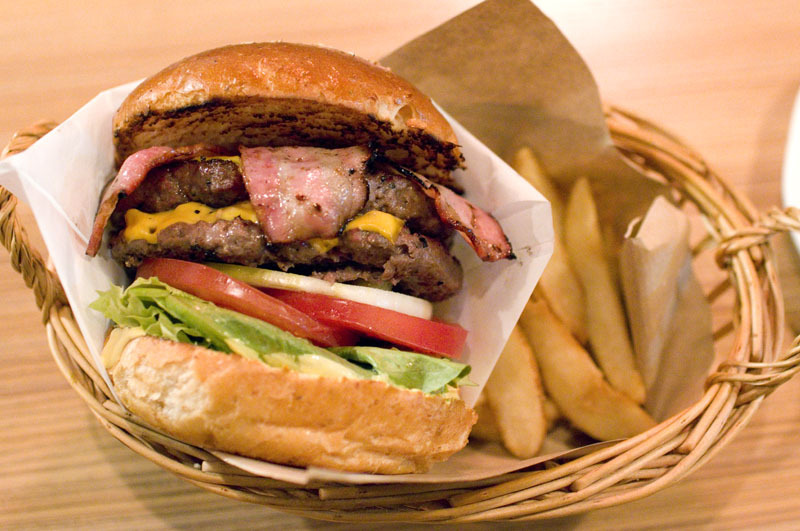 It's housed in the small Ajinomoto museum in front of their sprawling factory complex in Kawasaki. 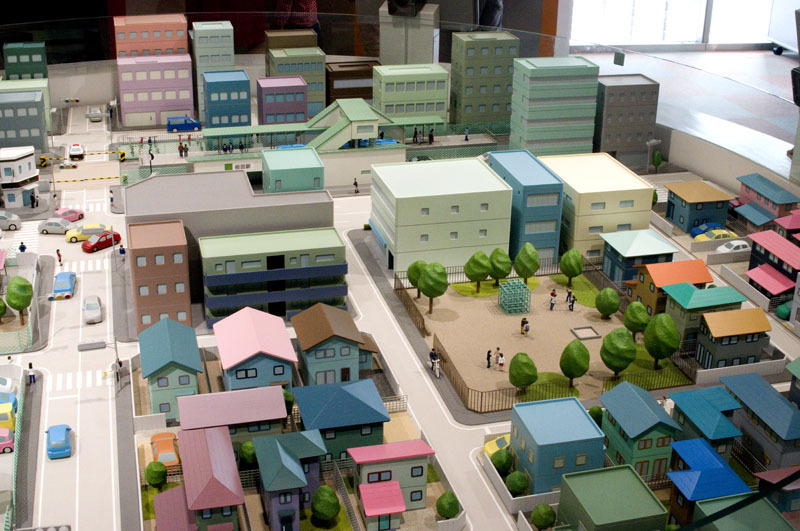 This generic neighborhood layout isn't all that pretty, but it's probably the most interactive - and drama-filled - diorama we've seen in town. 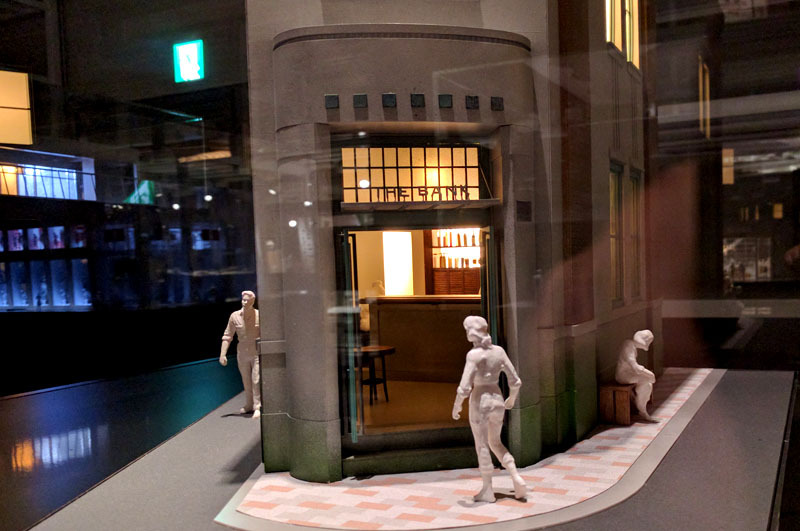 Press any of several buttons to expose the crime hotspots in this quiet-looking Tokyo neighborhood - everything from attempted purse-snatching to illegal parking. 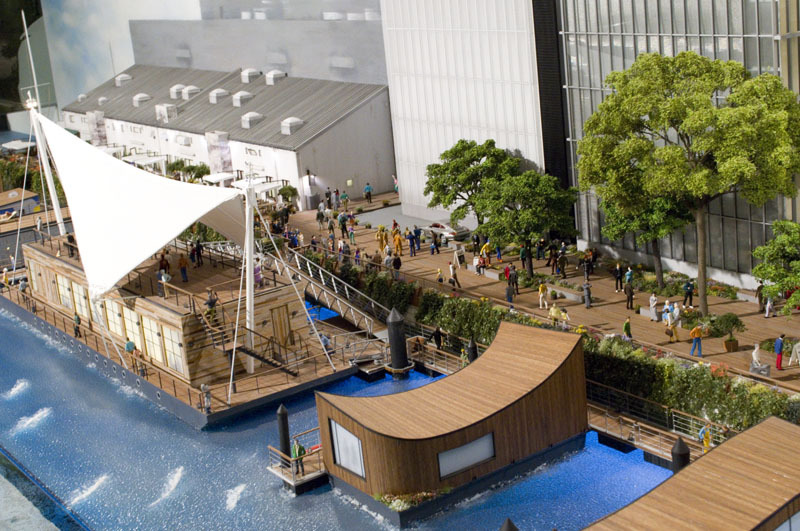 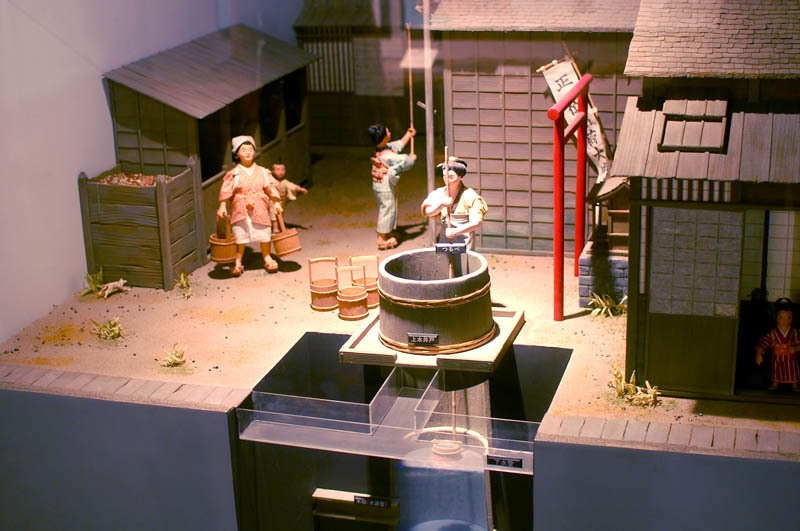 Occupying a corner of a very specialized museum devoted to Tokyo's water supply system, this small-scale diorama falls into the "slice-of-life" category, capturing the everyday chore of gathering water at an urban neighborhood well. 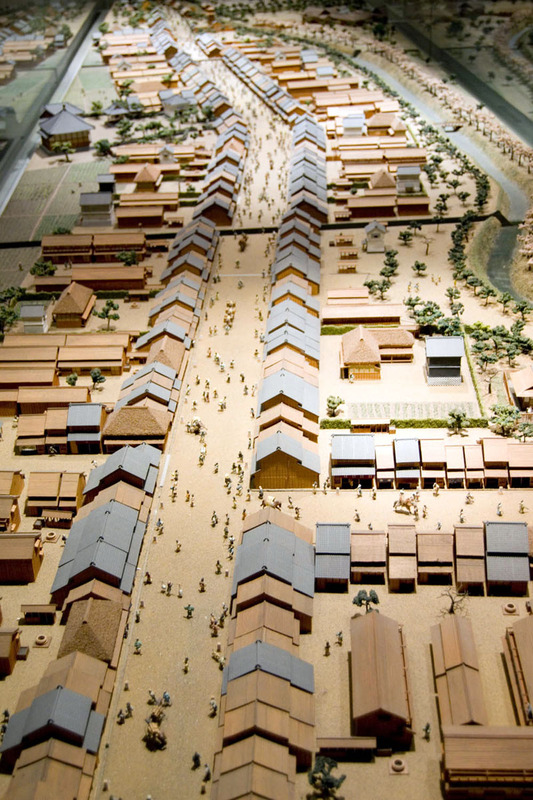 The central Shinjuku entertainment district looked very different during the Edo period, but it was already getting pretty busy. 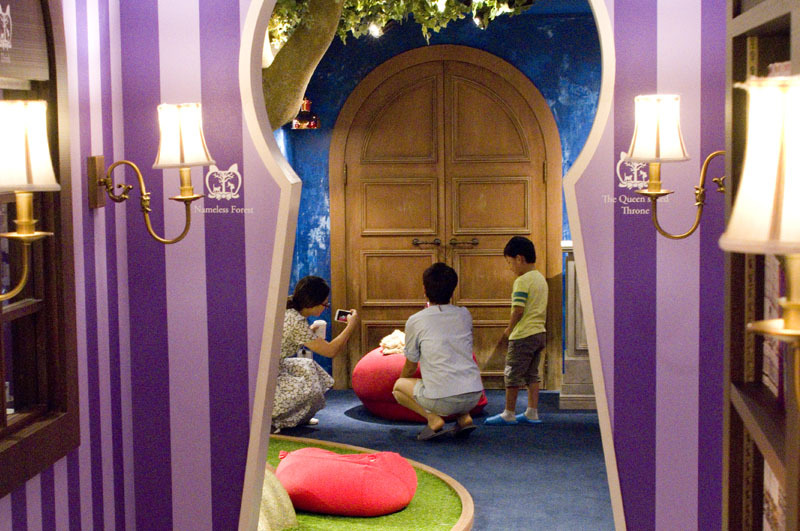 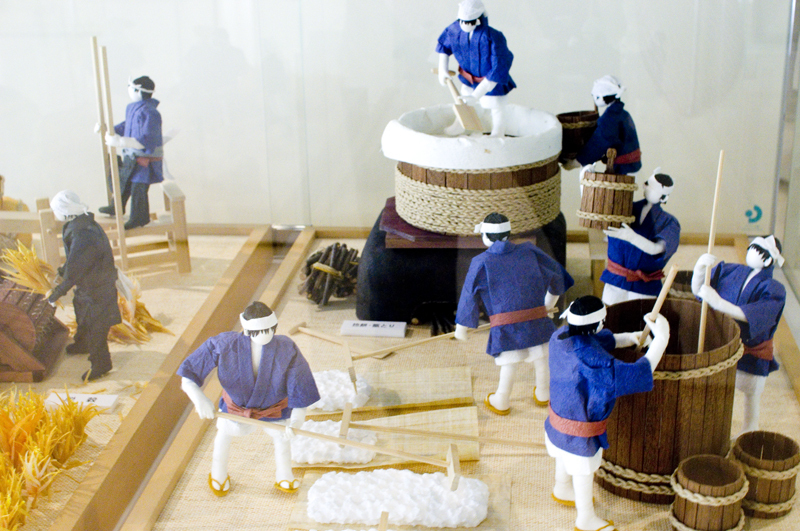 This large-size diorama is one of the highlights of the cozy but charming Shinjuku Historical Museum. 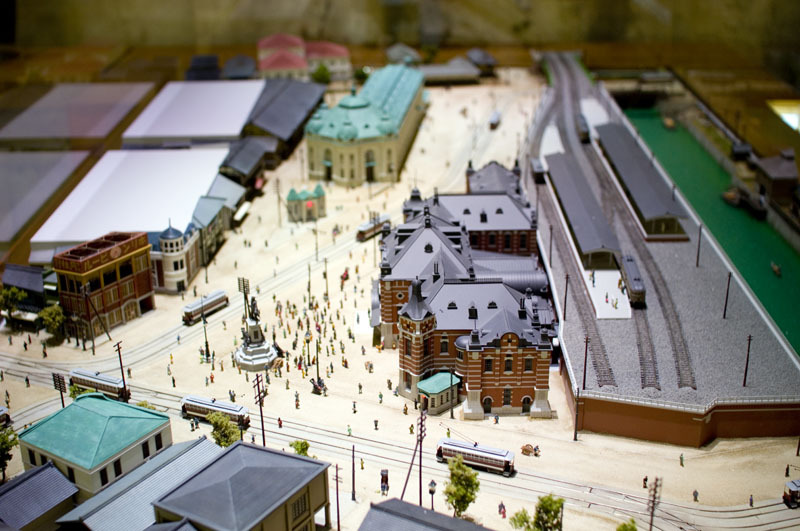 Centered on the long-defunct Manseibashi train station (now converted to a design-focused shopping mall) this station-area diorama really gives a feel for the old neighborhood, with its streetcar lines, low-rise commercial buildings and busy sidewalks and plazas. 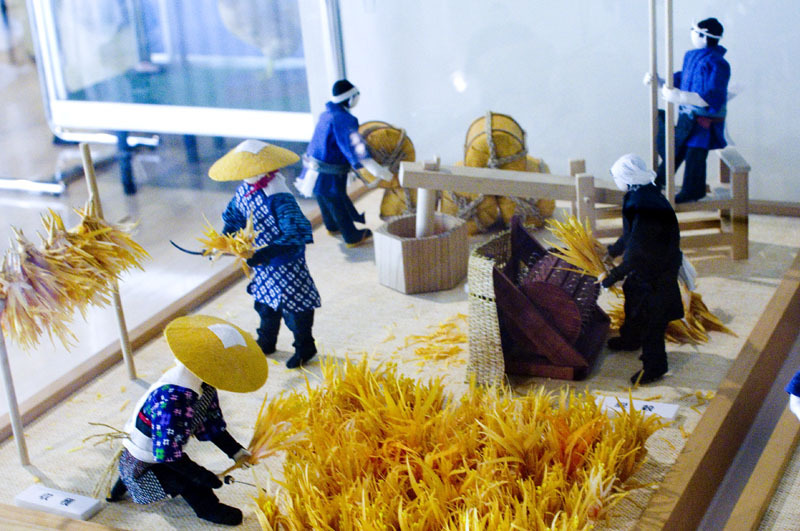 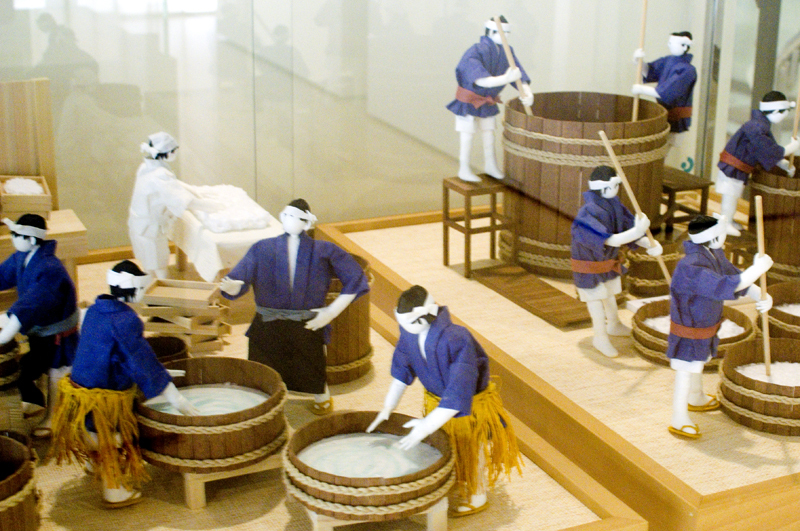 Often a diorama is more information-rich than an illustration or photograph, and the several dioramas depicting traditional sake-making techniques here are good examples. 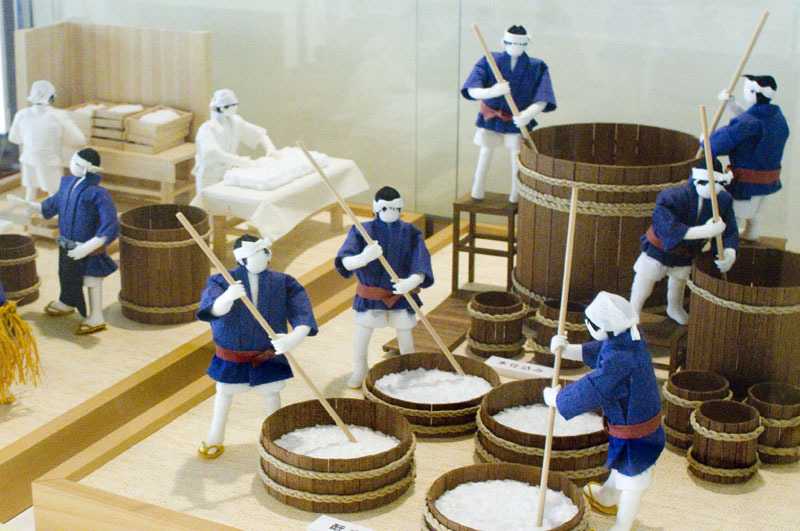 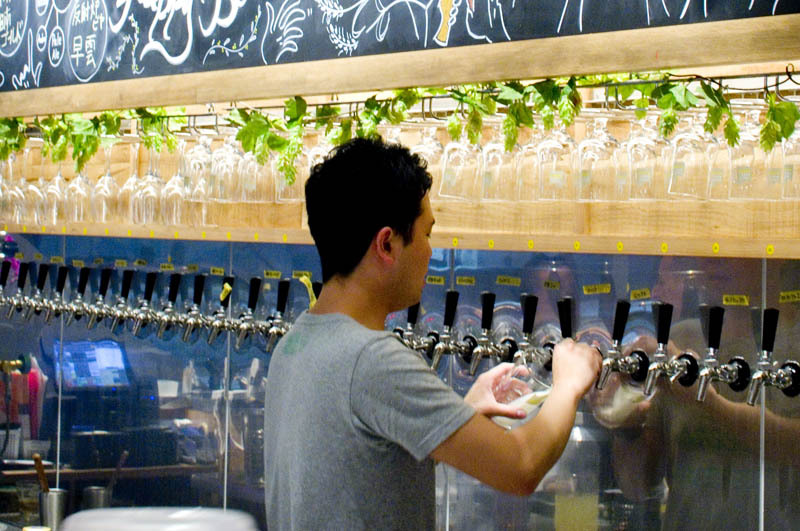 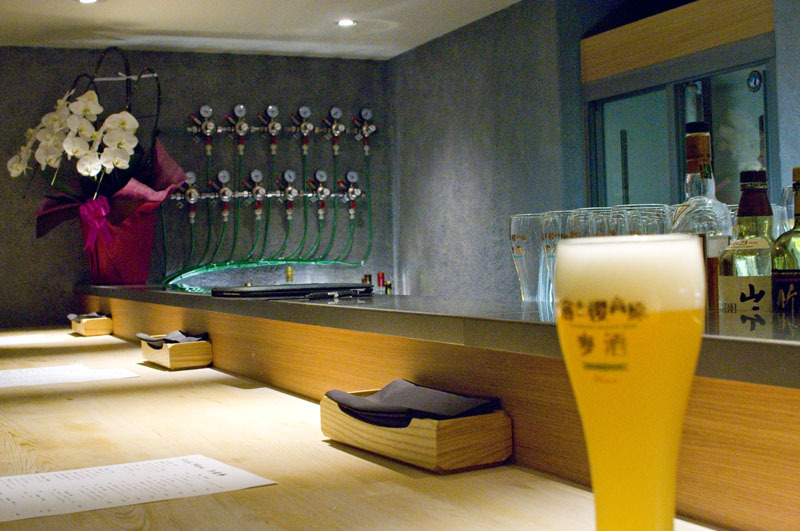 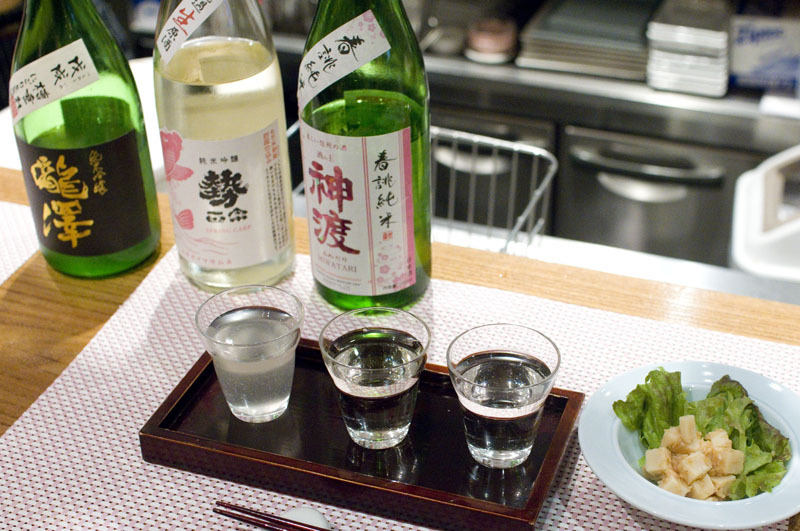 The Tokyo University of Agriculture is the alma mater of many of Japan's foremost sake makers, and a substantial portion of their museum is devoted to sakemaking and sake culture. 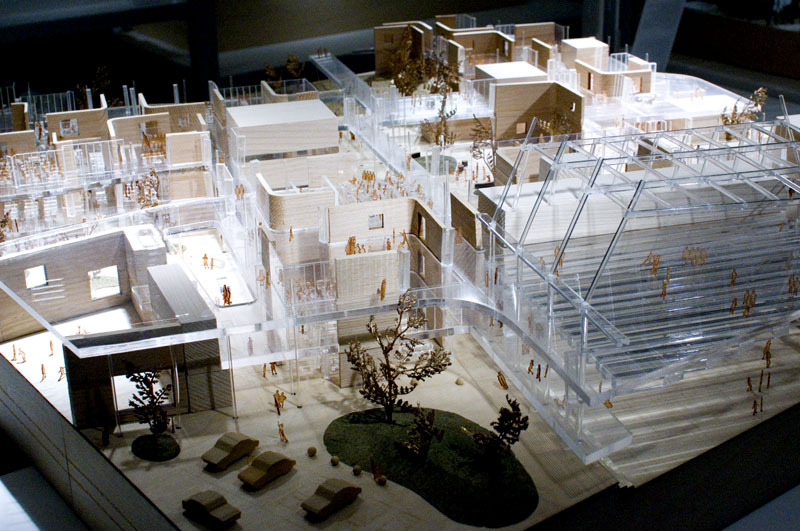 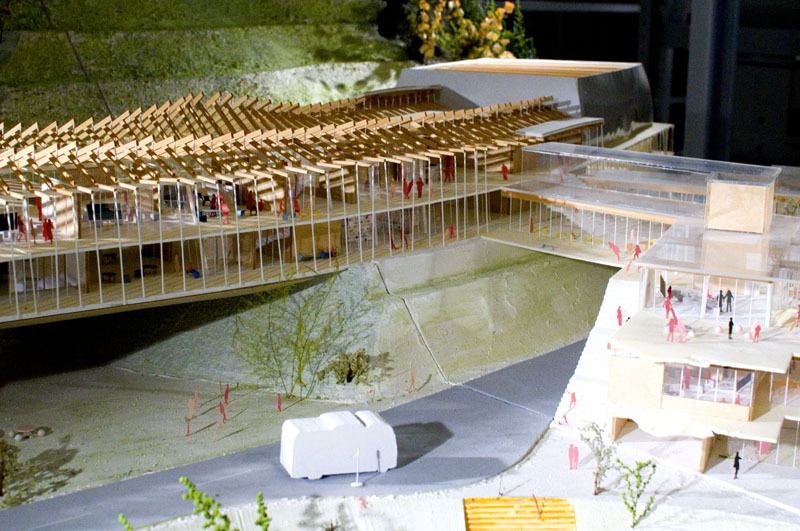 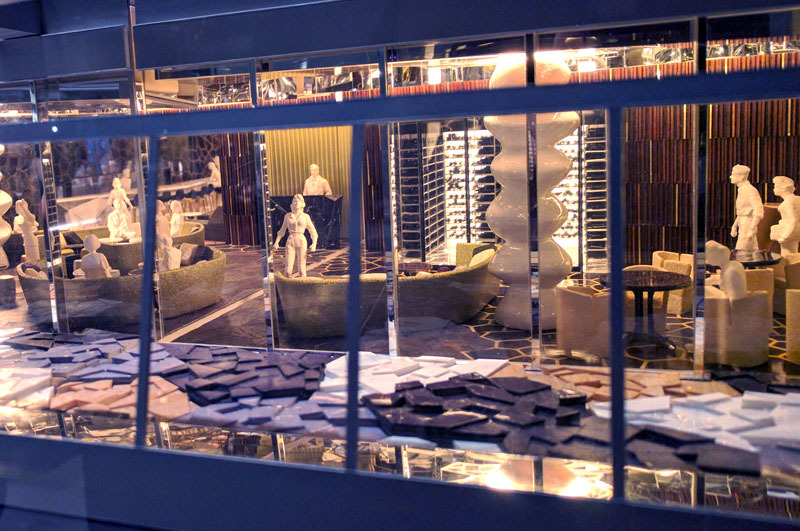 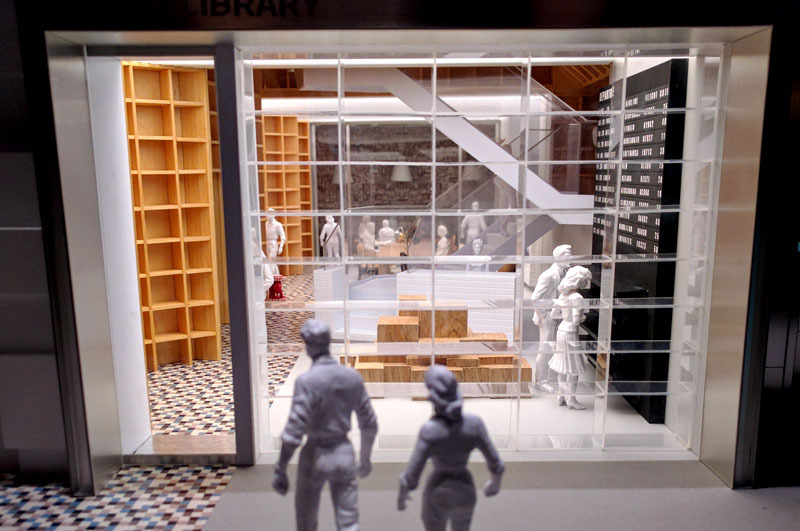 It's easy to lose yourself in the tiny worlds of Archi-Depot, a fantastic museum devoted entirely to architectural models. 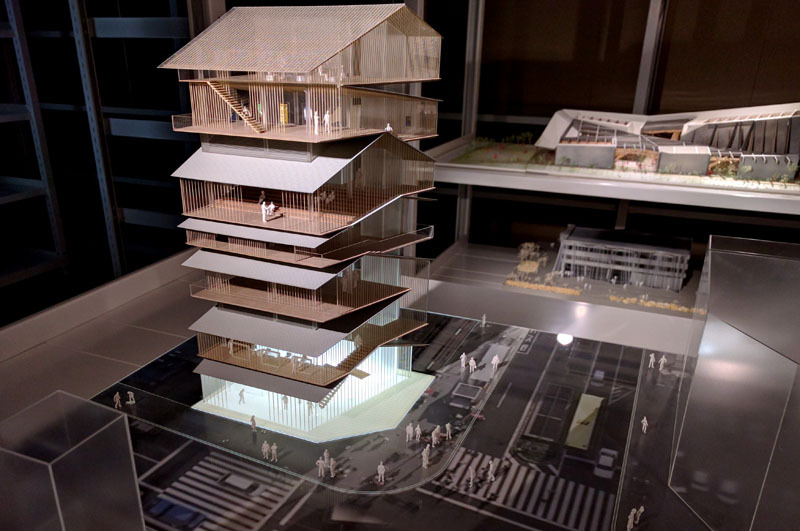 The model for Kengo Kuma's Asakusa Cultural Center is one of the larger-scale projects, encompassing the streets and sidewalks between the building and Sensoji Temple's main Kaminarimon gate. 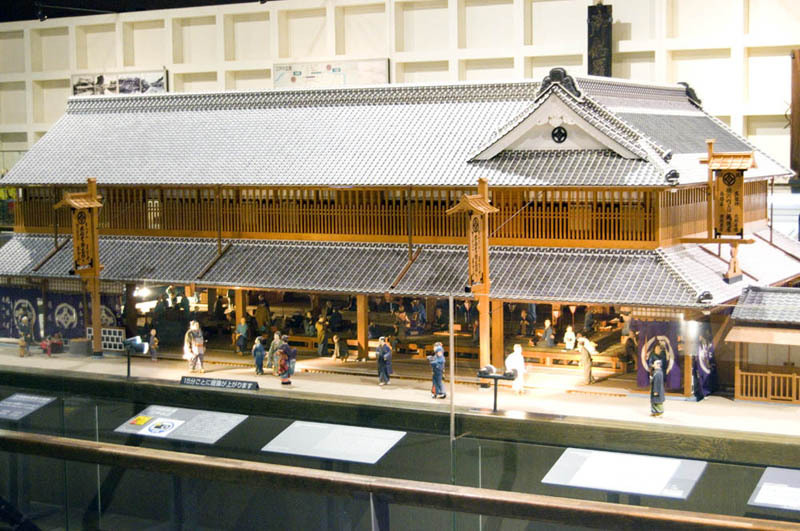 There's also a large-scale diorama of the nearby Tennozu Isle canal area housed in the museum's gift shop. 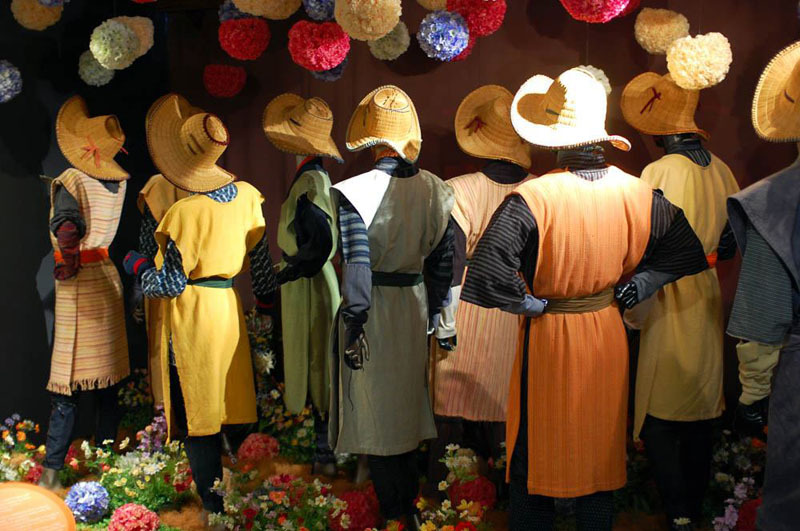 This excellent historical museum features several large-scale dioramas illustrating life in the old town. 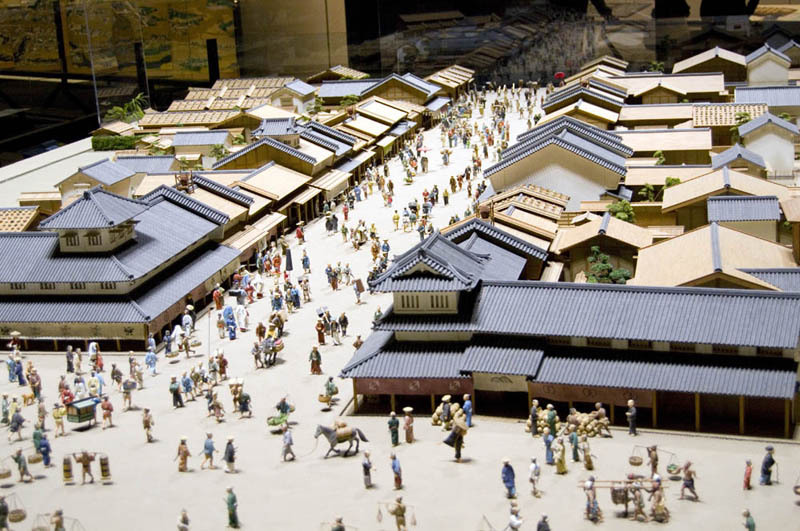 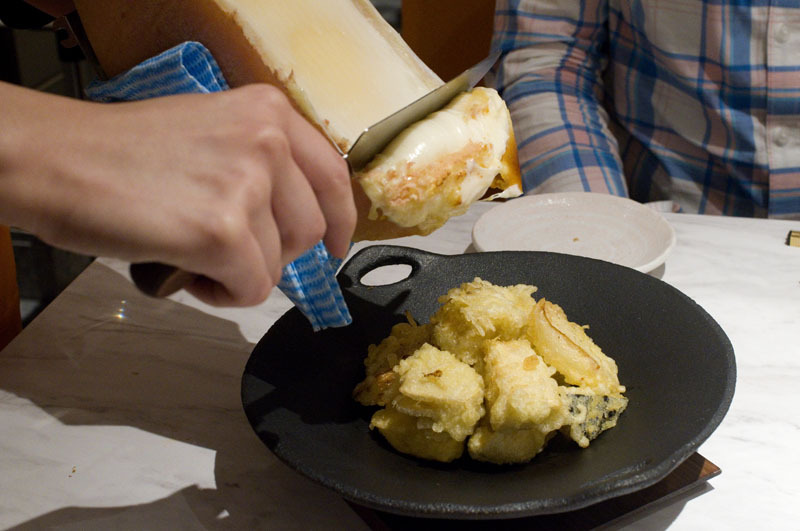 The Edo-era department store, peopled with numerous shoppers and staff, is our favorite.